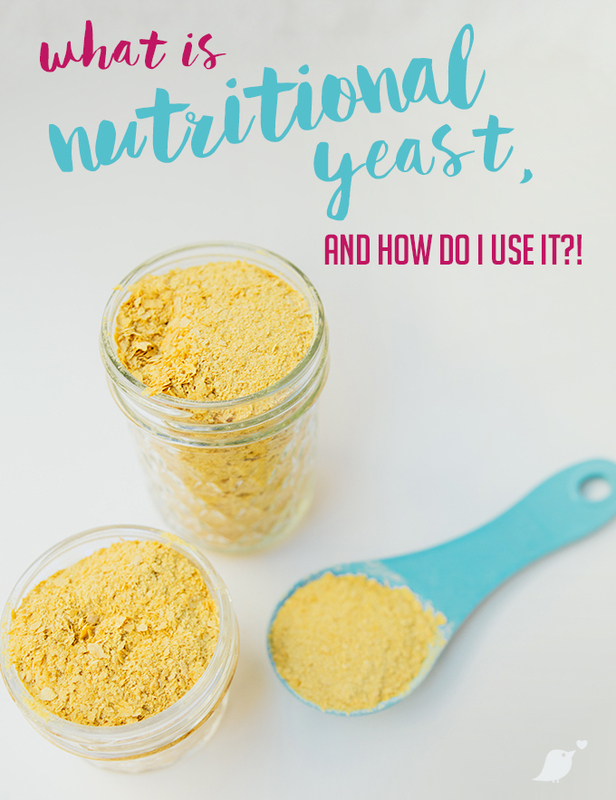 What the heck is nutritional yeast?! And how the heck do you use it? There SO many benefits to this wonderful little powder, and you will quickly notice (if you haven’t already) that I use it often. It is one of those ingredients that you can use in many many recipes and it adds so much goodness– both flavor and nutrition. I keep it in jar that is easily accessible to my stove, and it makes it SO easy to use while cooking. I do feel the name could use some rebranding, it doesn’t sound that appetizing… but I SWEAR it’s delicious. I have heard it reffered to has “nooch” which I tried to use for a while, but it just didn’t stick! Anyone have an idea for a new name? What does is taste like? 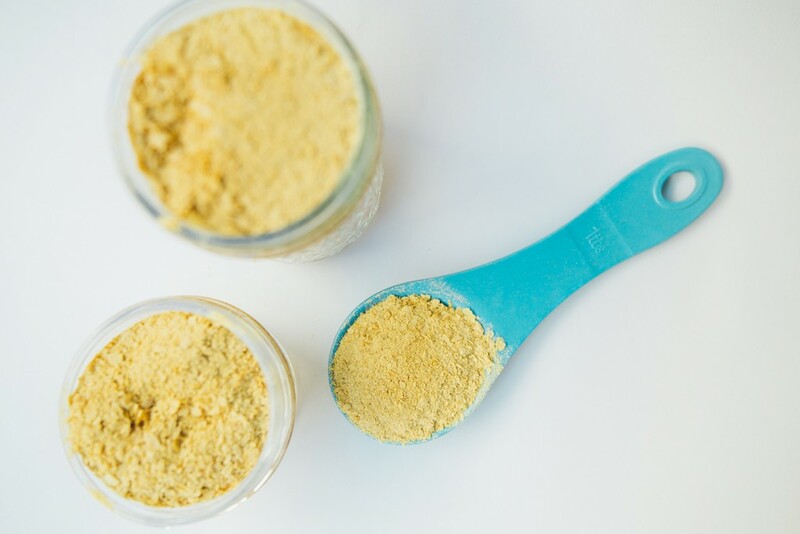 Nutritional yeast has a mild to strong flavor that is often described as nutty/cheesy, and is often used as a cheese substitute in vegan recipes. When added to soups/sauces/dressings… it can give off a creamy flavor/texture. * It’s a complete protein- meaning it contains all 9 essential amino acids. * It contains nucleotides that aid in the slowing down the aging process, biotin that strengthens hair and nail growth- as well as taming grey hair production. * It’s full of B vitamins- giving the body energy. Including B12 in most versions. * Contains all 15 essential minerals, selenium, magnesium, maganese, zinc and copper. Does it contain gluten? NO- but if you suffer from gluten intolerance on any level, I would recommend checking the label, as there are differences between manufacturers. How can you use it? Add it to sauces, chili, salad dressings, vegan mac n’ cheese, lentil loafs, veggie burger patties, hummus, sprinkle on tofu/tempeh/popcorn/polenta, soups… etc. Keep an eye out for some of my recipes (like this one, this one or this one) that include Nutritional Yeast, and let me know what you think!